The last time we saw competitive major league baseball, the New York Yankees and Philadelphia Phillies played in the World Series. Fittingly, those two teams are battling for something in the spring. This time it’s purely about bragging rights, and purely about the number of players in the top 100 B-Rank. 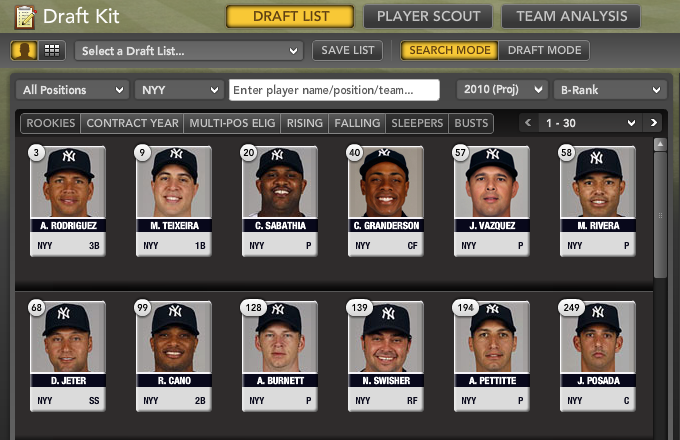 The Yankees and Phillies both feature eight players apiece; the Red Sox hold seven; the Dodgers six; the Twins, Rays, Astros, and Cardinals with five; and five teams only have one player making the cut, including the Royals, Pirates, and Padres. Some time later in your draft, a decision will have to be made between two players of similar caliber. The difference very well could be the quality of the lineup surrounding said players. That’s where the following data should help. If the decision comes down to Marco Scutaro (B-Rank of 213) or Everth Cabrera (190), then a quick scan of the differences between Boston’s quality of hitters and San Diego’s can pay dividends. Especially since so many leagues rely heavily on stats like RBI and R, two numbers that favor players in strong lineups over those surrounded by anemic offenses. Various people have their own ‘tiebreaker’ when it comes to a pair of nearly equal players. Age, lineup slot, track record, and injury concerns rank among the most popular. Team quality should enter the discussion too. Spring Training marks a period of experimentation. With a month of meaningless games to fill, it’s the perfect time to try things that you would never think of once Opening Day arrives. Most experiments go nowhere and end in mid-March. Occasionally one will work, such as last season’s move of Skip Schumaker from the outfield to second base for the St. Louis Cardinals. The Texas Rangers are doing some experimentation of their own by giving set-up man and former closer C.J. Wilson a chance to compete for a rotation spot. In recent seasons we’ve seen Adam Wainwright, Ryan Dempster, and Braden Looper make successful moves from reliever to starter – albeit to differing degrees. It was not too long ago when Wilson was the Rangers’ closer. After solid numbers in 2007 (66 games, 3.02 ERA, 12 saves), Rangers Manager Ron Washington tapped the lefty as the team’s bullpen stopper in 2008. However, things didn’t go according to plan. In 2008, Wilson saved 24 games, but finished with a dismal 6.02 ERA in 50 games. The biggest difference between the two seasons was a disparity in home runs. After allowing just four homers in 68.1 innings in 2007, Wilson gave up eight in just 46.1 innings in 2008. 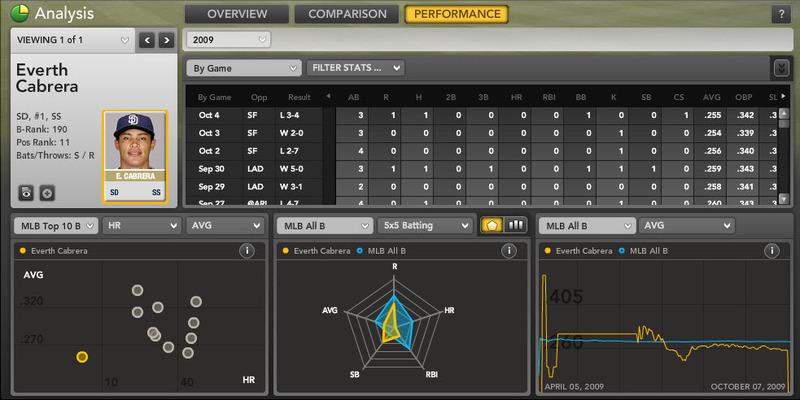 The huge jump can be explained by a ridiculously high home run-to-fly ball rate (HR/FB). For his career, Wilson owns a HR/FB rate of 12.6%. But in 2008, his HR/FB skyrocketed to 16.8%, up from 2007 levels, when batters hit home runs on 8.2% of the flyballs hit off Wilson. Wilson benefited from regression last year, when his HR/FB dropped to a career-low 6.3%, in the process lowered his home runs allowed per nine innings rate (HR/9) to 0.37 – also a career best. Filling the set-up role and backup closer role in support of the Rangers’ top closer choice Frank Francisco, Wilson finished the season with 14 saves and set career marks in several categories, including: wins (5), games pitched (74), innings pitched (73.2), strikeouts per nine innings (K/9) (10.26), and ERA (2.81). Despite the career year out of the bullpen, Wilson is still auditioning for a rotation spot in the Texas Rangers rotation. Why? Because in most cases 150 innings of average starting pitching is more valuable to a team than a 60 good middle relief innings. As strong as Wilson’s 2009 campaign was, his contributions added up to a decent but not overwhelming 2 wins above replacement level (WAR represents the number of wins a player adds to his team over your typical 25th man on a roster). According to fangraphs.com, Wilson was one of just one of 10 relievers to hit the 2 WAR threshold, showing the limited upside inherent in a role that severely limits innings pitched. 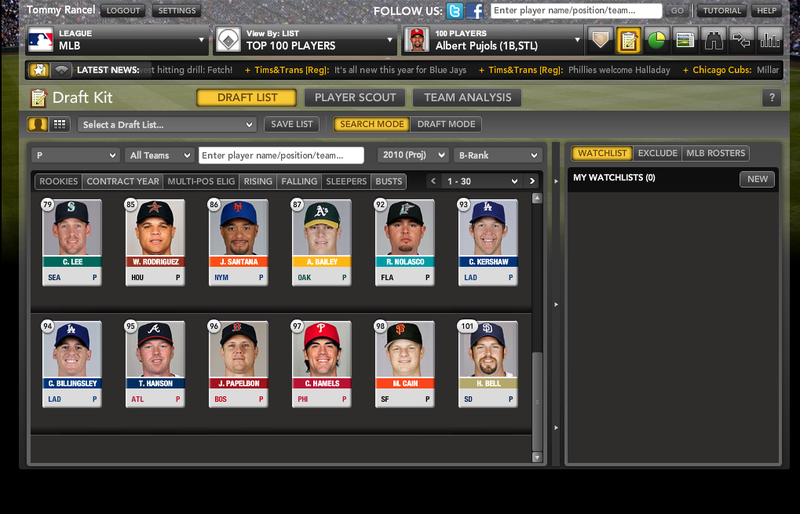 On the other hand, 63 starting pitchers were worth 2 WAR or more. The move from bullpen to rotation is a tricky one. It’s generally accepted that a pitcher can see increases in ERA, strikeouts and velocity moving from the rotation to the bullpen. 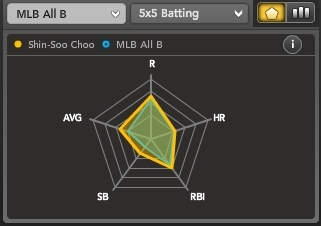 New Yankee Chan Ho Park is a good example of his phenomenon. As a starter, Park owns a career 4.39 ERA. His ERA plunged to 2.58 last season, on the strength of a strikeout rate that reached its highest point for a full season since 2001. Park also saw an increase in velocity: He posted an average fastball velocity of 92.2 MPH last season, up from his career average of 90.3 MPH. Even if Wilson makes a successful transition, he will likely see the reverse effect that Park – and other failed starts like Eric Gagne and Jose Mesa – experienced in moving to the bullpen from the rotation. In 2009, only two qualified major league starters posted K/9’s above 10.00: two-time National League Cy Young winner Tim Lincecum (10.42) and Justin Verlander (10.09). In addition to the strikeouts, there are also the looming home run concerns. 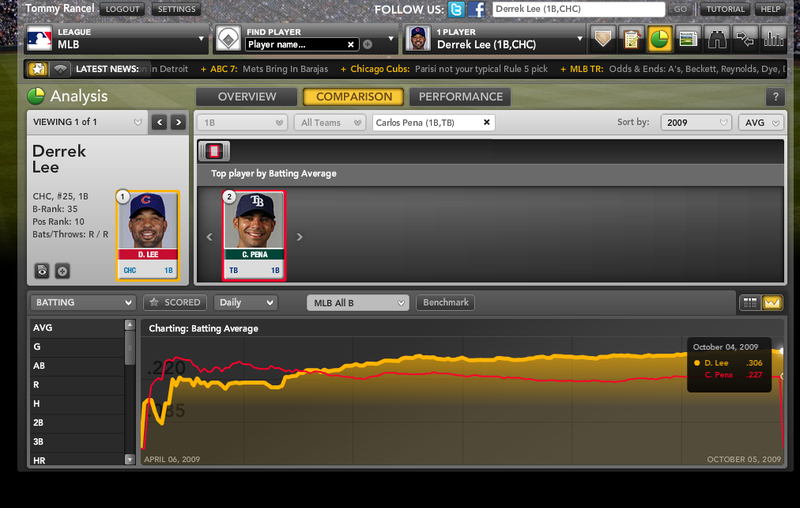 As mentioned, Wilson enjoyed career best marks of 6.3% HR/FB and 0.37 HR/9 in 2009. Beyond regression to the mean, neither are sustainable as a starting pitcher. In 2009, only five starters had HR/9 less than 0.50: Chris Carpenter (0.33), Clayton Kershaw (0.37), the aforementioned Lincecum (0.41), AL Cy Young Winner Zack Greinke (0.43) and Joel Pinero (0.46). Looking at HR/FB rates, five starters had rates below 6.0%, including four names from above: Carpenter (4.6%), Kershaw (4.1%), Lincecum (5.5%) and Greinke(4.5%), along with Carlos Zambrano (5.6%). 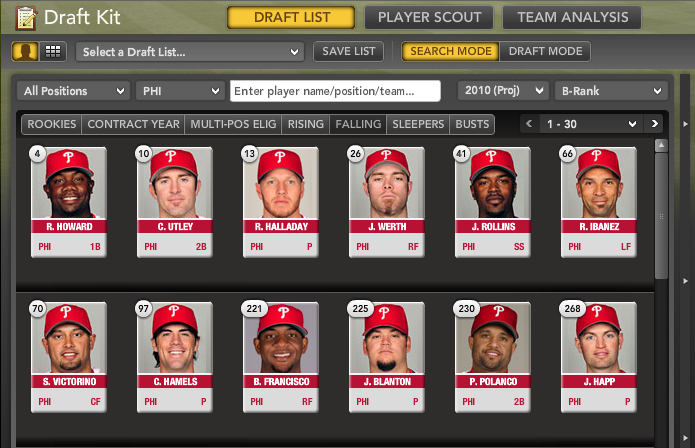 In addition to the physical aspect of starting, Wilson will need to work on pitch selection. A relief pitcher can get by with one dominant pitch and a secondary pitch. A starting pitcher generally needs at least three pitches to deal with the opposing lineup three or four times a night. Wilson has an above average fastball and a decent slider, but is lacking a true third option. In 2009, he toyed with a cut fastball and a curveball, but neither was used more than 5.6% of the time. He will need to up the usage of both pitches, or concentrate on just one as his third pitch, to balance out his pitch selection. When taking everything into account – statistical regressions, the physical impact and pitch selection – Wilson is facing an uphill battle. But it’s a battle worth fighting. Despite being one of the games better relievers last season, Wilson was not a valuable fantasy player, because pitchers can only produce so much value (in fantasy or real life) as non-closing relief pitchers. However, if Wilson can parlay his solid historical strikeout rates into a league-average ERA as a starter, his value would jump considerably. I wouldn’t put Wilson on any draft boards as a starter right now; but you should add him to your watch list. A handful of moves made this off-season could prove very valuable to major league clubs, even if they lack the buzz of signing a Matt Holliday or John Lackey. The Cardinals’ signing of Brad Penny to a one-year contract is one such move. Looking at Penny’s raw 2009 numbers may make you think I’m out of my mind. 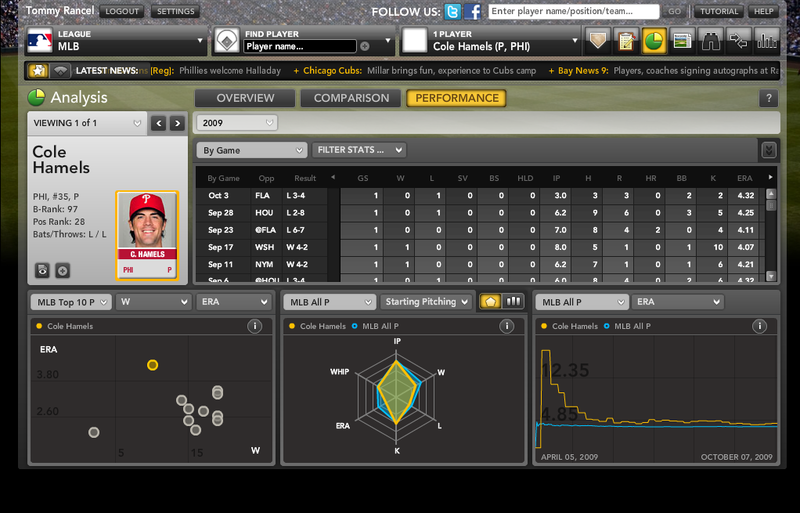 Penny’s fantasy stats in Boston were especially awful, as the big right-hander posted a 5.61 ERA in 24 starts. 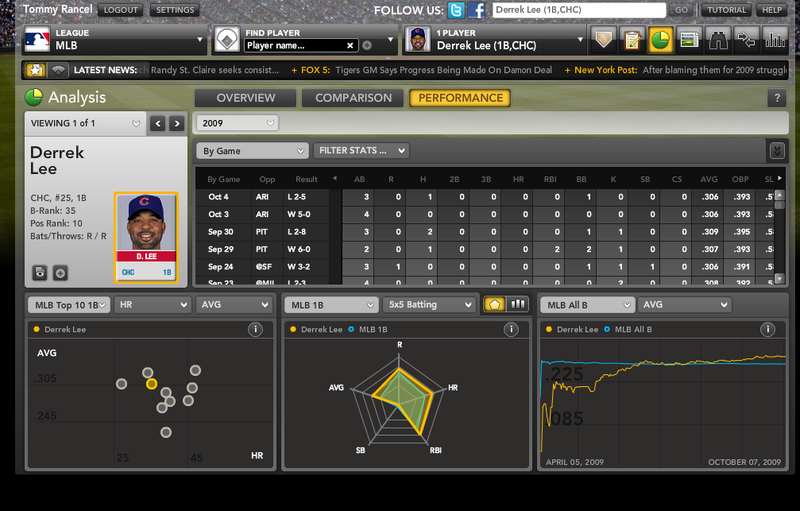 But more advanced metrics show that he pitched much better than that. Penny posted an unusually high batting average on balls in play (BABIP) of .336 with the Red Sox. That figure was 33 points above his career line, leading to more runs scoring as a result of luck, defense and other factors out of his control. His Fielding Independent Pitching (FIP), a measure of factors such as strikeout, walk and home run rate that a pitcher can better control, was a much more respectable 4.49 for the Red Sox. Nevertheless, Penny was cut by Boston and subsequently signed by San Francisco. The move back to the NL, where Penny had great success over the first nine seasons of his career, proved to be beneficial career move. Away from the much tougher American League East, he posted a 2.59 ERA in 41.2 innings pitched with the Giants. This time, Penny benefited from good luck, posting a microscopic .211 BABIP in San Francisco, and a 4.19 FIP that showed the true performance gap between his stints with the Red Sox and Giants to be much smaller than his 3-runs-lower ERA suggested. Coming into last season, Pineiro hadn’t posted an ERA below 4.33 or an FIP below 4.41 since 2003. A full season in the Duncan Pitching School would change that: Pineiro’s fastball usage, which had been above 60% just one time in his career, jumped to 71% last season, most of them of the sinking variety. That big increase in sinkers resulted in his groundball percentage rocketing to 60.5% – after never topping 47.5% in his pre-St. Louis days. Other recent reclamation projects of Duncan’s include Todd Wellemeyer and Kyle Lohse. In 2008 Wellemeyer, a fringe swingman and reliever to that point, won 13 games for the Cardinals, posting a 3.71 ERA and a K/BB ratio of better than 2:1. That same season, the newly acquired Lohse, who’d never posted an ERA below 4.18 in his previous seven seasons, enjoyed the best year of his career under Duncan, going 15-6 with a 3.78 ERA. Penny owns a better pedigree than Pineiro, Lohse or Wellemeyer; he’s also thrown fastballs at least 70% of the time in five different seasons, which should make for an easier transition to the Duncan system. 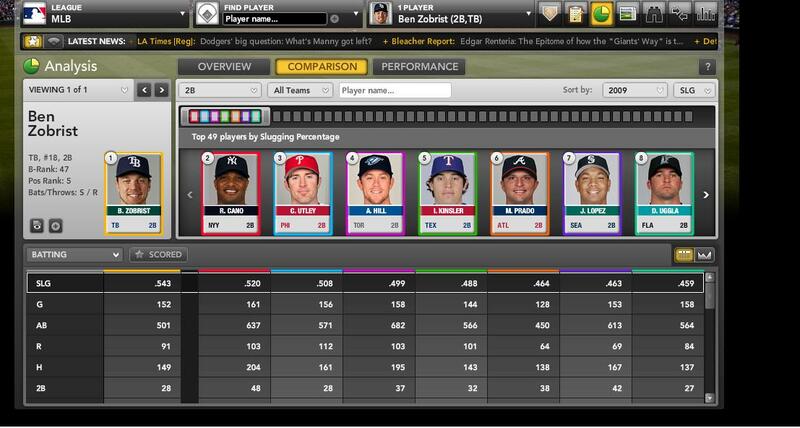 Penny should benefit from a strong offense behind him this season, led by Matt Holliday and Albert Pujols guy. He also figures to benefit from facing some weak offenses: four of the Cardinals’ five division rivals ranked among the bottom 10 of baseball in runs scored. Would-be Penny owners have may reason for concern on the defensive front. The Cardinals defense struggled last year, as the team ranked just 18th in MLB in Ultimate Zone Rating, a stat that measures the number of runs a fielder saves on ball hit into and around his assigned area of the field. Still, St. Louis’ team mark of -17.8 (every 10 runs saved equals one win gained in the standings, so -17.8 means the Cardinals’ defense added nearly two losses to the team’s ledger) was scarcely worse than the -16.3 total put up by the Red Sox, Penny’s employer for most of last season. The Cardinals are also optimistic that highly regarded third base prospects David Freese could prove to be a defensive asset as a first-year starter in 2010. Penny does have a track record of injuries, with two straight ugly season on his ledger (he posted an abysmal 5.27 FIP with the Dodgers in 2008). Those factors add up to a B-Rank of 361 for this season, with a positional ranking of 137. 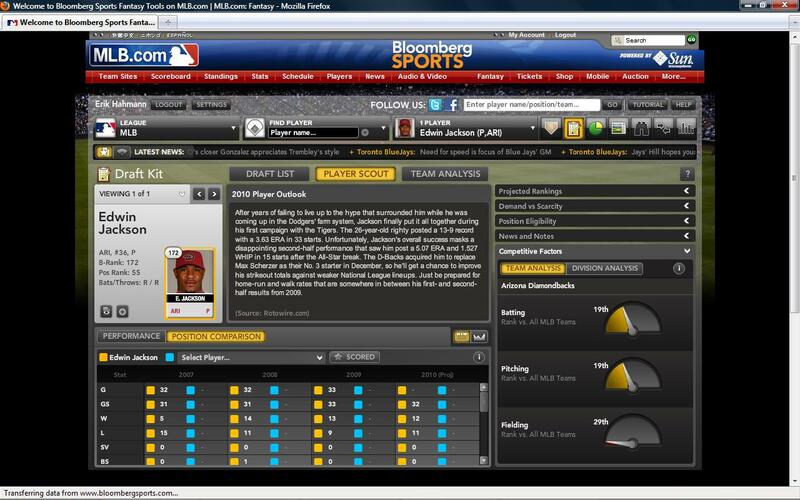 That ranking sandwiches Penny between Homer Bailey and Brandon McCarthy (shown below using Bloomberg’s Draft Kit feature). Brad Penny should be available near the end of most drafts. If he can click with Dave Duncan the way so many others have over the years, he will be an absolute steal come draft day. For more information on Brad Penny and hundreds of other players, and for dozens of tools to help you dominate your fantasy league, check out Bloomberg Sports’ fantasy kits. his first year as an everyday major league player. can often have a big impact on draft position the next spring. named Jamie Cevallos – and something apparently clicked. and he did appear as a pinch-hitter in the DH slot once as well. leaguemates think his ’09 breakout was really a fluke. 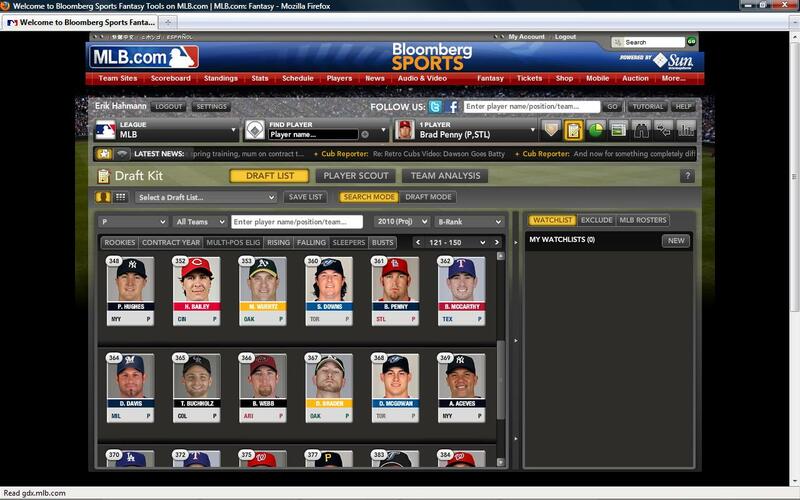 For more information on Ben Zobrist and hundreds of other players, check out Bloomberg Sports’ fantasy kits. Pinpointing Edwin Jackson‘s value has been a hot topic of debate in the blogosphere, and among major league general managers, for the past three years. 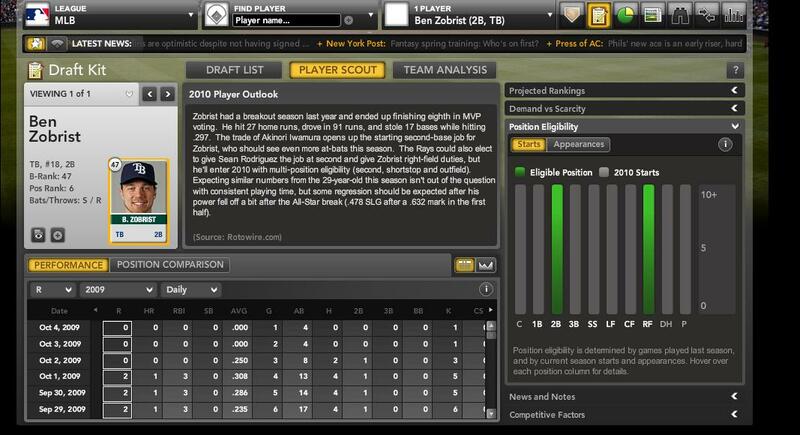 In 2007, Jackson suffered through a seemingly miserable season, posting a 5-15 record and 5.76 ERA, the kind of stats that will torpedo a fantasy season. Turns out Jackson was the victim of bad luck and especially bad defense that year. Pitching in front of noted defensive sieves such as Delmon Young and Brendan Harris, Jackson yielded a stratospheric batting average on plays in play of .351. His xFIP (expected Fielding Independent Pitching, a stat that runs along a similar scale to ERA, but strips out the impact of defense, park effects and other factors outside a pitcher’s control) was nearly a run lower than his ERA, at 4.95. This was a roughly league average pitcher thrust into the worst situation. In 2008, Jackson appeared to take a huge step forward. 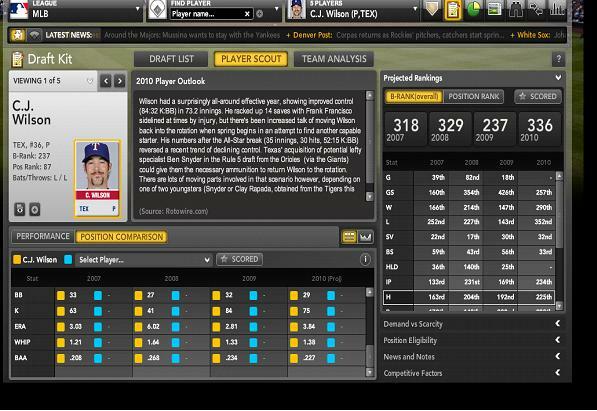 The big right-hander upped his record to 14-11, with a 4.42 ERA, delighting fantasy owners who gambled a late-round pick on him. But a closer look revealed that he hadn’t changed at all. 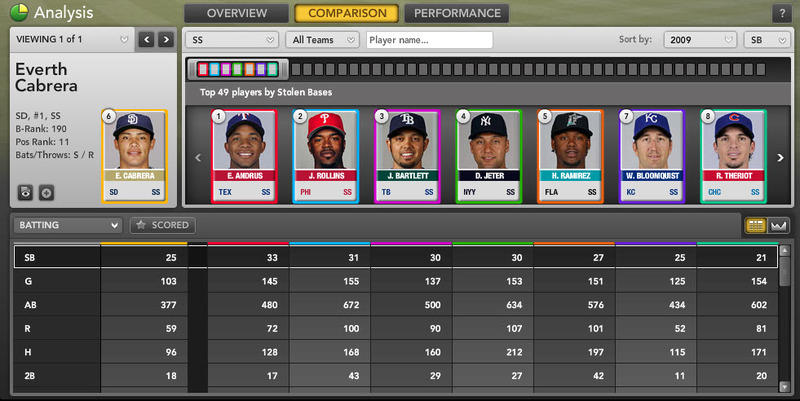 Jackson owed most of the improvement in his superficial stats to a vast improvement in the Rays’ defense. According to Ultimate Zone Rating, a stat which tracks fielders’ ability to make plays in and around their assigned positions, the Rays moved from dead last in baseball in 2007 with a mark of -57.7 to first in 2008, at 74.2. Put another way: Every 10 positive UZR points add up to roughly one more win in the standings for a given team. So Tampa Bay’s defense went from costing the team nearly six wins in 2007 to adding more than seven wins to the ledger in 2008. That’s a gigantic, 13-win improvement – one of the biggest year-to-year changes in MLB history – before any Rays pitcher made a pitch or any Rays batter took a swing. Indeed, Jackson’s xFIP actually rose from 4.95 in 2007 to 5.03 in 2008, as some of Jackson’s peripheral stats, including his strikeout rate, got worse. It seems impossible to believe that a pitcher could go from 5-15 to 14-11 and actually prove slightly less valuable to his team on a per-inning basis – but Jackson turned the trick. After the ’08 season, Rays management saw a chance to trade a pitcher whose perceived value likely outshone his actual value, and that’s exactly what the team did – shipping Jackson to Detroit for promising outfielder Matt Joyce. could be seen as a major breakout: His ERA dropped nearly another full run to 3.62 (7th in the American League), his strikeout-to-walk ratio jumped over the key 2:1 mark, and Jackson gave the Tigers a career-high 214 innings pitched (also 7th in the AL). His xFIP slid to 4.39. Combine his increased innings total with his improved performance, and FanGraphs estimates that Jackson’s season was worth 3.5 Wins Above Replacement — or three-and-a-half more wins than a fringe major league pitcher — for Detroit. innings. His full season marked of 1.14 homers allowed per nine innings was higher than average among qualified starters, a puzzling and troubling sign at Comerica Park, which suppressed homers by 2.6% compared to league average in 2009, and rates as a pitcher-friendly park compared to other MLB stadiums. This off-season, Jackson was involved in another trade, this one sending him to Arizona. 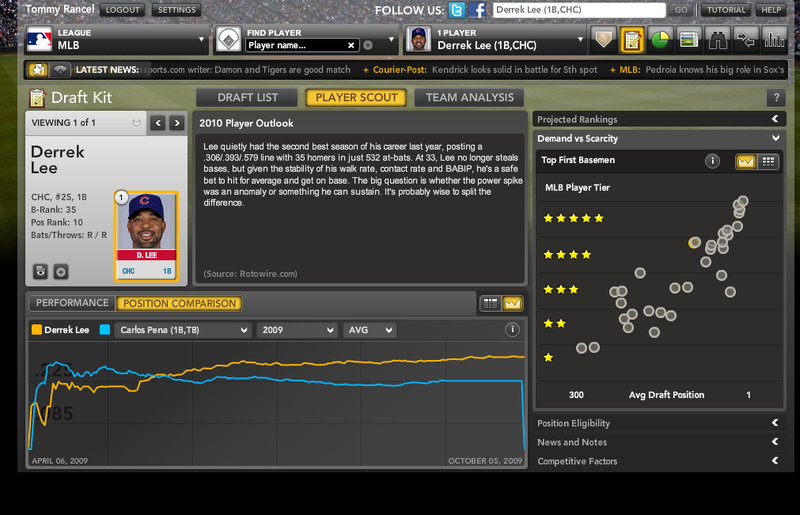 So, which Edwin Jackson should we expect to see in 2010? 1. He’s moving to Chase Field. season may not have the same fate at Chase. 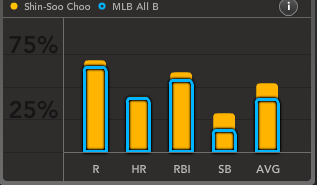 batting average on balls in play, which in turn saved runs and lowered his ERA. The Diamondbacks, meanwhile, ranked a solid 9th in team UZR in 2009, though just 23rd in 2008, while not making many changes to their everyday lineup. worth, as will traveling to Petco Park and AT&T Park, as well as Dodger Stadium (Coors Field will be the one road park in the NL West that could significantly hurt Jackson’s performance). like Carlos Zambrano, who is ranked only a few places behind Jackson. Choose wisely, my friends.